A survey by consumer campaigning charity Which? has revealed the most common boiler faults associated with condensing gas boilers and oil boilers. The survey, conducted in the summer quizzed Which? members about gas and oil boilers they had installed in the last eight years; specifically what faults and problems they had endured since fitting a boiler replacement. 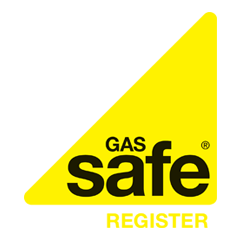 5,115 people responded and almost half of all those who took part in the survey (48%) said their gas boiler had presented a fault of some kind, which resulted in them having to call upon the services of a professional heating engineer to fix. We rely so heavily on our central heating system, but when the heating breaks down or there’s suddenly no hot water it can cause absolute chaos to descend. Most boiler problems seem to happen at the worst possible time too – during the cold winter months, seemingly unable to cope with the strain of constant activity after a somewhat inactive summer. Common boiler problems can be an expensive inconvenience and in most instances will need to be addressed by a qualified and reputable heating engineer.